This week’s Highlands real estate spotlight is on a lot for sale on Cullasaja Drive. This is the ideal spot on which to build your dream home. The .89 acre lot is directly across the street from Mirror Lake and you can walk to town. This Highlands property is a must-see. One of the best features of this Highlands property is that no one can build across the street from you, ensuring a lifetime of views of Mirror Lake. Highlands NC is a perfect spot for anglers and what could be better that the ability to drop a line in the water steps from your home. There are a number of experienced architects and home builders in the area to assist you with creating a wonderful mountain home. If you have been having a hard time locating the perfect home for you this lot could be exactly what you have been waiting for, enabling you to build a home that meets your needs and your lifestyle. 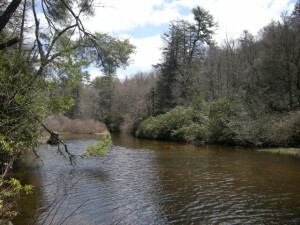 Close to downtown Highlands NC and water views, what more could you ask for in a property? Contact me, Lynn Kimball today to schedule a private showing of this lot and any other Highlands property currently listed for sale.